Seller is very motivated ! 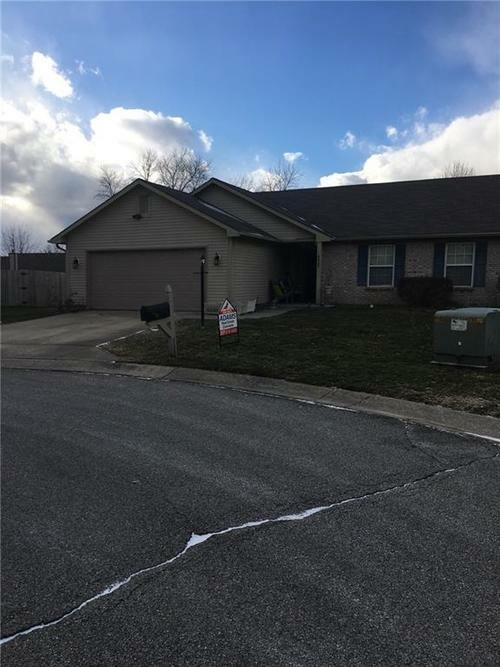 3BR, 2BA ranch in Franklin Township Southern Springs neighborhood on a Cul-De-Sac. Home needs a little TLC but is in good condition. Good size MBR with walk-in-closet. All blinds and windows treatments stay. New laminated floors in bath and entry areas. Large finished 2-car garage with refrigerator that stays. All other appliances stay with the possible exception of the washer and dryer. Central Air & Furnace are one year old. Water heater is 6 months old. Fenced back yard with small storage barn. Close to hospital, shopping, restaurants and interstate I-65. Directions:From South Emerson Go East On Stop 11 Road To Southern Springs Blvd., Turn Right, Home Is On the First Cul-De-Sac On The Right Side Of The Street. Listing provided courtesy of Adams Real Estate Concepts.